Needed help with a broken & locked French door and called in to the shop to arrange an appointment. The locksmith was on time & worked hard for nearly 2 hours to make the repair, ensuring everything worked properly again - all for a flat labour fee. The replacement part was even cheaper than anticipated. Very happy with the service & would definitely recommend. We went to get keys cut, within mins they were done whilst we waited, and they worked. We asked for a lock to be fitted at home, they came the next day, they even rang to let us know they were running 5 mins late. Very polite and friendly service. 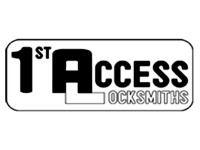 We would highly recommend this locksmiths.